In life, there are teachers that break you and teachers that rebuild you. I only remember one that broke me. I had many that built me up, but only one ever had to rebuild me after I was broken. When I was a sophomore in high school, I struggled in math. The teacher I had went very fast and made me feel like I couldn't do it. At the end of the year, he actually said to me, "If you have any hopes of playing basketball next year, don't take Calculus. You will fail and be on the bench all year." I had never been more broken or felt more defeated. My perception was I was a failure in math, but I had kept trying. Now, it had become my reality because of that one sentence. I told my parents what had happened and begged them to not make me take Calculus. Fortunately, they worked out something and I was able to take Algebra II a second time and it was counted as geometry. To this day, I have no idea how that works, but there were probably six of us in the same situation. At a private Christian school with only around twenty kids in your class, this was a pretty big deal. After that point, I never thought I was good at math again. Even this year I told my principal I'd rather teach reading because math was my weakness. ONE teacher affected me that negatively that even now I get nervous teaching math. However, while I still have the nerves I didn't lose complete confidence. That is because a teacher named Mr. Maharrey picked up the broken pieces of all of us and reassured us, encouraged us, and retaught us. I barely passed Algebra II my sophomore year. My junior year, I finished with a 102 average. I won a math award at our awards assembly. Go figure! It was the exact same book, same material. The only difference was the teacher. THAT IS THE IMPACT YOU MAKE ON EVERY CHILD THAT WALKS INTO YOUR CLASSROOM. YOU EITHER BREAK THEM OR BUILD THEM. Mr. Maharrey was also the first teacher that taught me to love computers. We had these really old machines and he taught us the basics of coding. Keep in mind, that was in eighth grade. Which for me is over twenty years ago. I'm not sure AOL dial up even existed then. He was former military, so he could appear gruff, but he was gentle and kind. He had the biggest laugh and we all wanted to be in his classroom. Mr. Maharrey was at all of our ballgames, track meets, and cross country meets cheering us on. He didn't just love us. He was there for us. 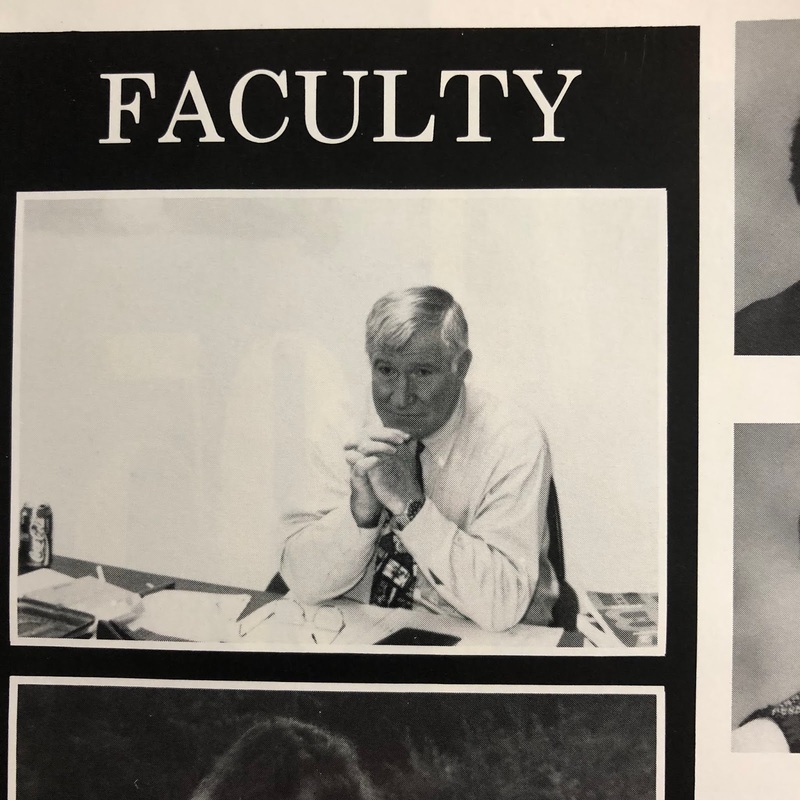 Our senior year, he was the one that told us to start a petition to get graduations separated - that's a long story, but it worked. To this day, the eighth grade graduation is not done with the high school graduation at my old school. 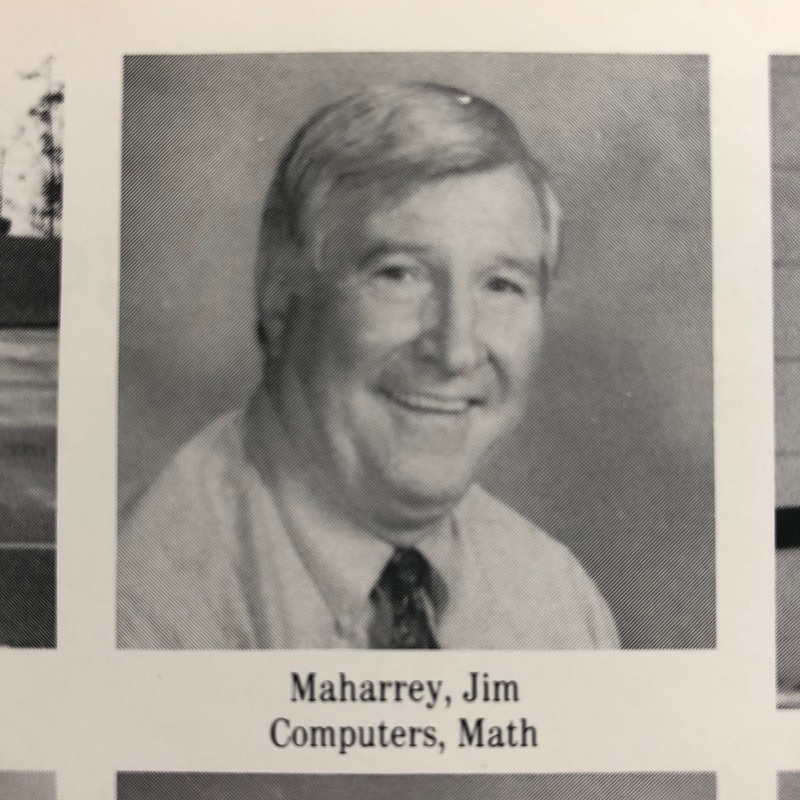 Mr. Maharrey passed away today. His daughter posted it on Facebook, I read the post, and tears just fell. Comment after comment on the post says the same - he made a difference. We loved him. He loved us. We are heartbroken. He was an incredible teacher. Each one of us get it. He rebuilt many students and believed in each one of us. He knew we would change the world and thanks to him, we are making a difference. The world lost an incredible grandfather, father, husband, and teacher today. So here is my challenge to you - be the teacher that builds up, doesn't tear down. Your kids will never forget the teachers that broke them and hurt them or built them and loved them. Being a kid is tough! There's nothing better than knowing your teacher is in your corner, cheering for you, and wanting you to win. Be a Mr. Maharrey! The world needs more like him.